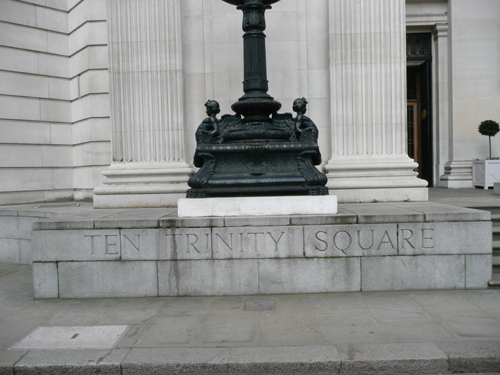 10 Trinity Square building was opened by the Prime Minister David Lloyd George in 1922. This building, which hosted the reception for the inaugural meeting of the General Assembly of the United Nations in 1946, overlooks the Tower of London and the River Thames. 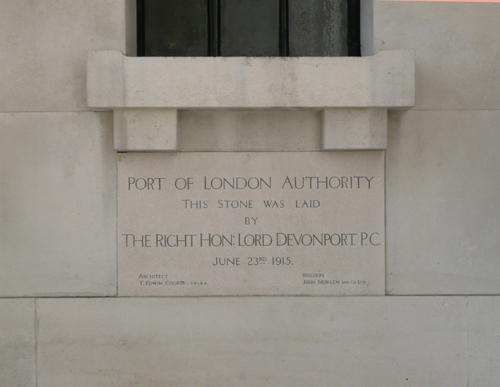 This structure, designed by Sir Edwin Cooper R.A. and built by John Mowlem and Company in 1922, was the headquarters of the Port of London Authority (PLA). The building was badly damaged by enemy bombing during World War II, and when rebuilt in the 1970s as a functional rectangular office block was built to occupy the central part of the building which was destroyed in the war. The building was occupied as the European headquarters of insurance company Willis following the relocation of the PLA. In 2006, 10 Trinity Square was acquired by Thomas Enterprises Inc. and changed ownership to KOP Group and Reignwood at the end of 2010. 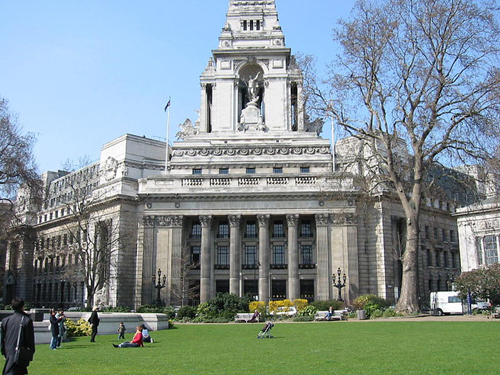 It has received planning consent from the City of London Corporation and is currently being developed into a luxury hotel. 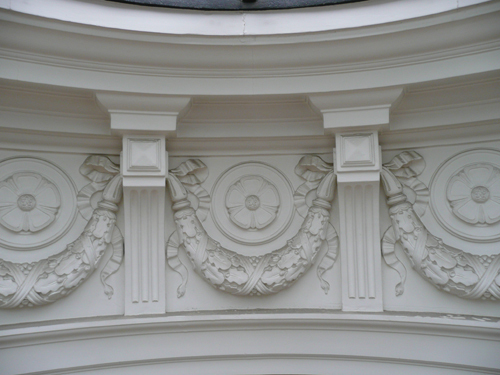 The original central rotunda space is to be restored, which will provide an opportunity to reconnect the courtyard space to the greater public realm, including the surrounding Trinity Square Gardens and Seething Lane Garden. The enhanced Seething Lane Garden will become an important, safe and secure amenity for everyone to enjoy, and the introduction of the hotel will contribute round-the-clock life to the gardens and wider public realm. I was asked to carry out an analysis of the paint in some of the interior spaces.